W. W. Norton & Company, 9780393352566, 176pp. 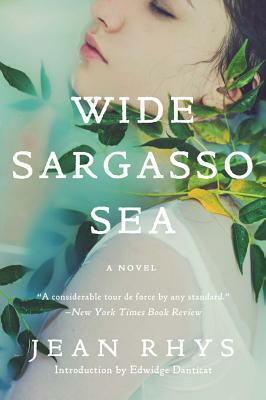 Wide Sargasso Sea, a masterpiece of modern fiction, was Jean Rhys's return to the literary center stage. She had a startling early career and was known for her extraordinary prose and haunting women characters. With Wide Sargasso Sea, her last and best-selling novel, she ingeniously brings into light one of fiction's most fascinating characters: the madwoman in the attic from Charlotte Bront 's Jane Eyre. This mesmerizing work introduces us to Antoinette Cosway, a sensual and protected young woman who is sold into marriage to the prideful Mr. Rochester. Rhys portrays Cosway amidst a society so driven by hatred, so skewed in its sexual relations, that it can literally drive a woman out of her mind.